Through our quality aluminum fence supplier, iDeal Aluminum, Eastern Shore Porch & Patio offers premium quality, powder-coated aluminum fencing and aluminum railings for installation. There are many aluminum fence styles available to suit any residential or commercial property. Our iDeal aluminum fences come in numerous styles, colors, and grades. An aluminum fence installation provides you with greater safety and security and adds significant curb appeal to your home. Our elegant ornamental aluminum fencing with premium iDeal powder coating will grant you a virtually maintenance-free fence for decades. Your aluminum fence will never rot like a wood fence or rust like a steel fence. As part of our numerous residential aluminum fence installation options, we install aluminum fencing for pools, pets, and backyards. Eastern Shore Porch & Patio also installs aluminum fencing for a diverse range of commercial businesses looking to beautifully accent their properties with a functional, low-maintenance fence. Many of our aluminum fence installation customers enjoy the experience so much that they partner with us again in the future for another project, like building a gorgeous Eze-Breeze room. 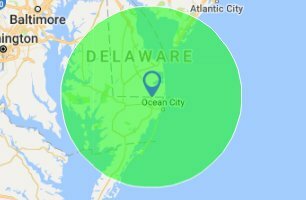 Eastern Shore Porch & Patio is proud to be the premier vinyl fence sales, vinyl fence installation, and aluminum fence installation company for the Bethany Beach, Fenwick, Lewes, and Delmarva areas.